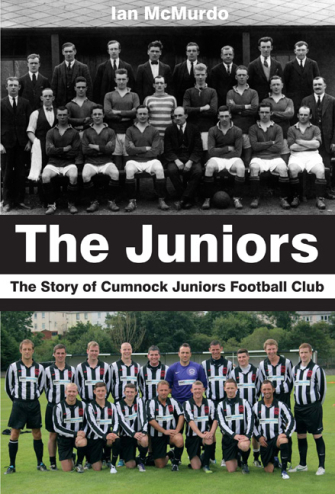 This is the story of one of the most famous junior football clubs in the history of the Scottish game. Formed in the autumn of 1912 by three businessmen determined to put their proud little market town firmly back on the football map, it was a club which together with its fan base would soon embark on a fascinating rollercoaster ride. It would not be one for the faint-hearted. From obscure beginnings against the might of local top dogs Glenbuck Cherrypickers, Muirkirk Athletic and Cronberry Eglinton, and set against the menacing backdrop of an impending world war, the club would soon battle its way to the very pinnacle of the Ayrshire junior football scene. Then as the silverware quickly began to pile up in its various shapes and sizes, the club’s principal driving ambition ultimately became its all-consuming obsession. It simply had to capture the mighty Scottish Junior Cup, the undisputed ‘Holy Grail’ of the junior game, and parade the gleaming trophy back in glorious triumph through the streets of its home town. However, this was a club which would also go on to deliver something much more important than mere football trophies. It was a club which all throughout the century that followed would share in the town’s many great celebrations and triumphs, but one which would also stand shoulder-to-shoulder with its hard-pressed sons and daughters during their times of great hardship and despair.